Who we are | Purple Twig: Art Exploration for Kids! Art exploration is an excellent way for children to build self-confidence through discovering and manipulating materials. 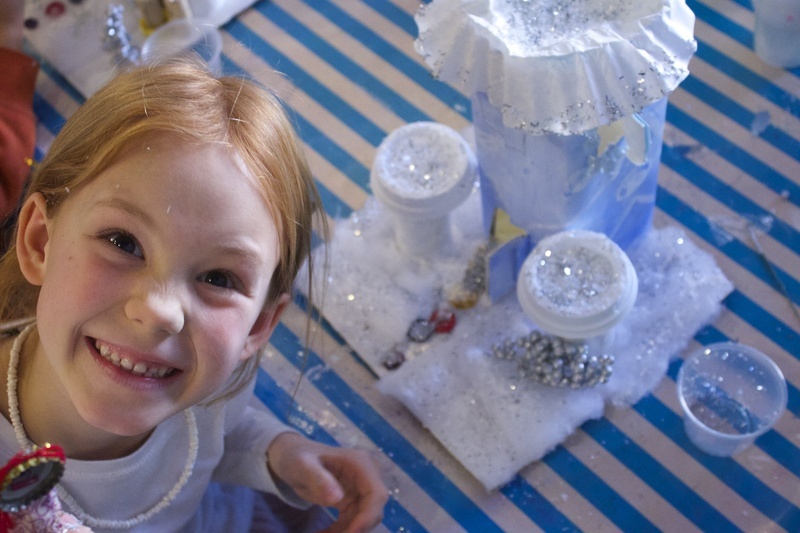 By focusing on the process and the exploration of materials whether it be paint, toilet paper tubes, clay or fabric, we help kids use their imagination and articulate their ideas. In addition to the discovery of the physical possibilities of materials, we will also explore a wide variety of subjects, from animals and where they live to underwater sea life to great architecture depending on the age of the students. I pride myself in the respect of materials. We use a lot of recycled and repurposed materials along with the traditional art ones. We have recycling bins and only use cloth towels. We believe that children can learn to be respectful to the environment by just living it. By providing age appropriate art exploration children will learn and maturate developmentally appropriate skills, whether it be eye-hand coordination or problem solving skills or perspective all the while encouraging their creative thinking. We believe that artmaking is an essential component of the human experience. Our goal is to nurture and inspire as well as develop independent thinking. We have classes that are 1 hour long and ones that are an hour and a half. Our family classes for ages 2 and 3 are 1 hour long. Most of our classes you buy a session, but we also do offer some rolling classes that you pay monthly. The structure of the classes is always the same to create a consistency, a warm-up activity, reading of a story, looking at source material or singing a song (depending on age) and then the main art project. You are welcome to build a class based on any subject you choose whether it be by medium like ceramics, sculpture or painting or by subject matter, outer space, birds, or gardens. You would need to gather a minimum of 4 students. I do ask that the students are somewhat close in age by a year or so. It's important that the skill level is similar so no one feels left out or insecure about the development. We also offer workshops each month which are a one time teacher led project. I received my BFA from the School of Art Institute of Chicago and my MFA from USC. I taught art classes for children at the Armory Center for the Arts in Pasadena California for 9 years before opening my own studio for children and families where we focus on teaching techiniques like ceramics, drawing, sculpture, collage, printmaking but all the while allowing children to have their own voice. My approach to teaching children grows directly out of my fine art practice which consists of sculpture and collage. I have exhibited professionally in solo and group shows in Los Angeles, New York, San Francisco and Minneapolis. Another influence is my mother who is a child psychologist, specializing in play therapy for young children. She taught me about the developmental stages of childhood and the importance of acknowledging and respecting these stages with nonjudgmental, yet positive interactions. Elisa studied early childhood development at Pacific Oaks in Pasadena and now works at the Pacific Oaks preschool as an assistant teacher. 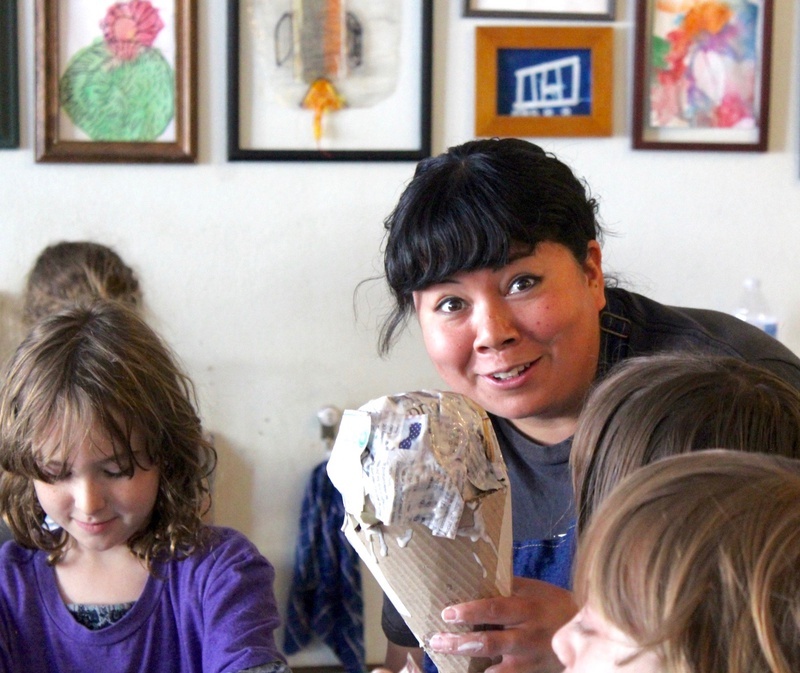 She specializes in using reycled materials with our young students, guiding children in the possibilities of artmaking. "While studying at Pacific Oaks, I learned how significant of a role the arts play in their every day learning. Being able to explore materials, create experiences and freely express themselves is vital to how the child interprets the world. It came naturally for me to be intrigued in teaching something that has always been an integral part of my life." 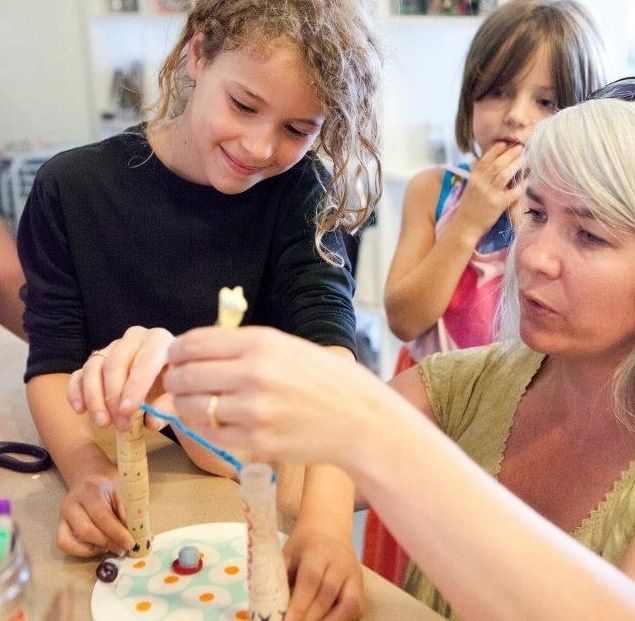 This art exploration studio offers classes starting with mommy-and-me up to more experienced artists-to-be. 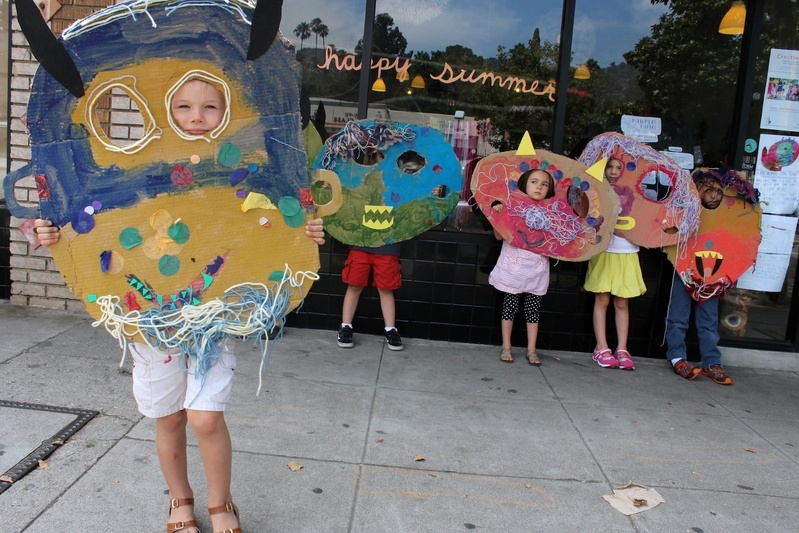 At their popular drop-off classes, kids ages three to nine can learn ceramics, sculpture or painting. Stop by on Saturdays from 10am to 4pm for open studio sessions (the program focuses on a different material each week). For our family classes a parent or caregiver must be present. All other classes are drop off classes. Parents or caregivers must also be present for the open- studio time. All students must be the applicable age for the registered class. We create classes that are developmentally appropriate in hopes that each child will have a fulfilling experience instead of a frustrating one. Students must be potty-trained for all drop-off classes or camps. We will not allow your child to wait outside unattended. Please come inside to retrieve your children after class. Please let us know someone else will be picking up your child. Please be on time for pickup of child after classes. We are not staffed for after hours care.A fee of $10 per every ten minutes late will be charged. If you miss a class we offer one open-studio session (Saturdays from 10-2) for each missed class. We do not prorate classes for late registration but do offer make ups during our open studio for classes missed. We do take photographs during some our classes. We use them on our instagram page and for promotional purposes. If you are not comfortable with this please let us know. If for some reason the class you registered for is not right for you child or something else unexpectedly comes up we will offer a refund for the class before the third session minus the $50 non-refundable deposit and the price for sessions attended. We do not offer refunds after the third session of class. We do not offer refunds for workshops. If you would like or need to bring a sibling or friend to class, please just let me know ahead of time and there will be a $30 fee. Tuition for camps is due at the time of registration in order to save your child's spot. Our camps do fill up so please pay when registering. We do understand that plans change. If you have to cancel we will refund all but a $50 non-refundable deposit if canceled by June18th for our summer camps. All changes and cancellations for camp need to be made by email. For Thanksgiving holiday camps we refund all but a $25 registration fee if we can fill your spot. For Winter and Spring Break camps cancellation must be made 2 weeks prior to camp for refund minus $50 deposit. We will refund all but a $50 fee if we can fill your spot if cancelled within the two weeks. No refunds will be given the day camp begins. We do not prorate days for our week long camps. We do offer a 10% discount for siblings. Please request before paying for camp. As the legal parent or guardian, you release and hold harmless, Purple Twig, its owners and operators from any and all liability, claims, demands, and causes of action whatsoever, arising out of or related to any loss, damage, or injury, including death, that may be sustained by the participant and/or the undersigned, while in or upon the premises or any premises under the control and supervision of Purple Twig owners and operators or in route to or from any of said premises. That said we do take your child's safety seriously. If you need to cancel or change your week of camp please do so by email. No refunds of camp tuition will be given after June 18th unless your child's space can be filled by a student on the waitlist. We refund all but a $50 non-refundable deposit for summer. For Spring and Winter camps withdrawl must be made at least two weeks prior to camp date in order to recieve refund. We will refund all but a $50 non-refundable deposit if we can fill your spot. All students must be the applicable age for the registered camps. Curriculum created are developmentally appropriate in hopes that each child will have a fulfilling experience instead of a frustrating one. All campers will be signed in by parent or guardian. Please notify us if there is a change in the adult that will be picking them up. Please be on time for pickup of child after classes. Purple Twig is not staffed for after hours care. After 3:00 pm families will be charged $10 for each additional 10 minutes. We do take photographs throughout the weeks. We use them on our Instagram page and for promotional purposes. If you are not comfortable with this, we completely understand. Please just let us know. 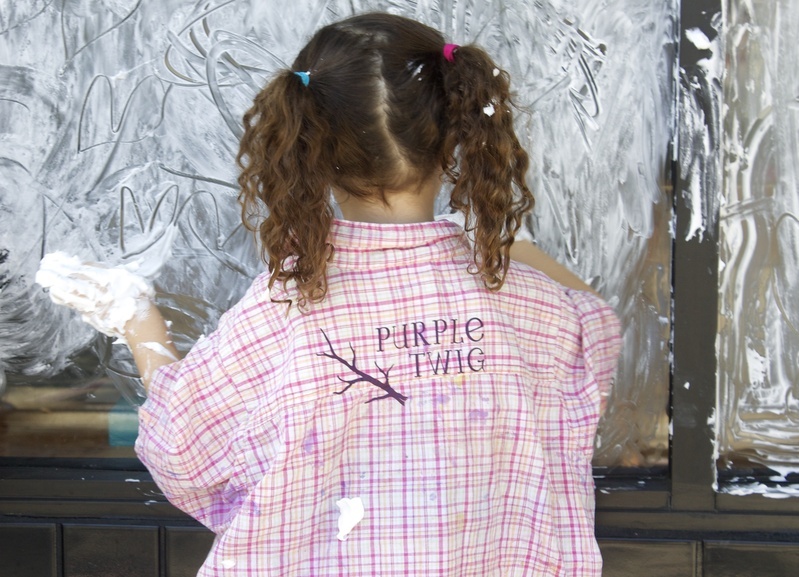 Thank you for enrolling your child in Purple Twig Camp! Please contact us with any questions.